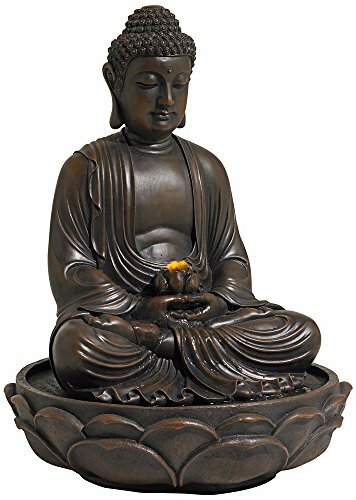 Meditating Bronze Seated 27 1/2" High Buddha Fountain ~ Tabletop Fountains ~ Olivia Decor - decor for your home and office. 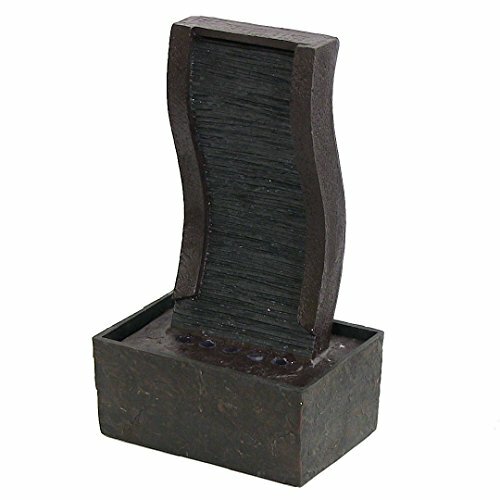 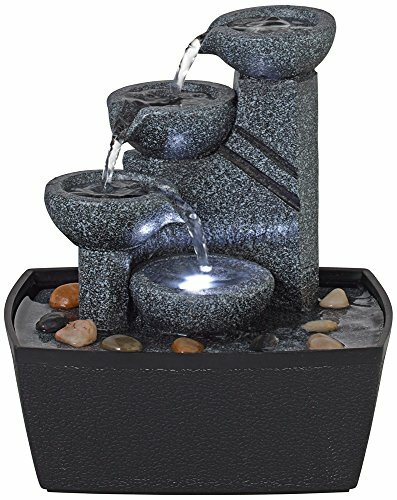 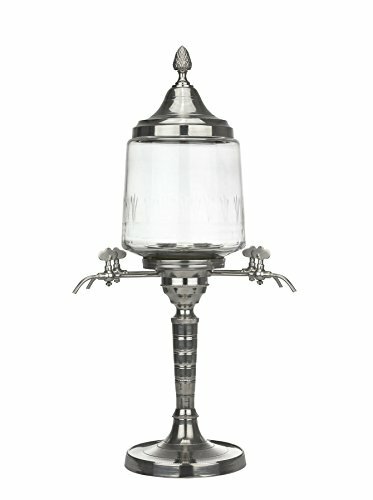 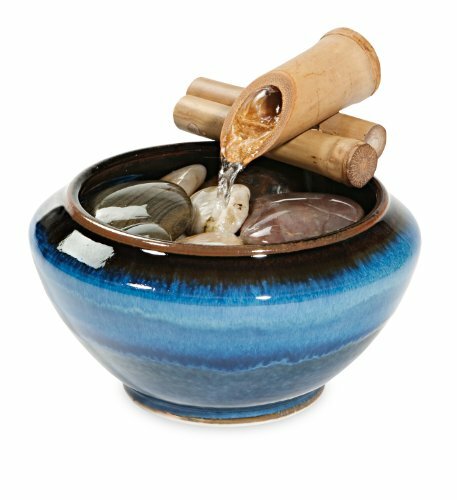 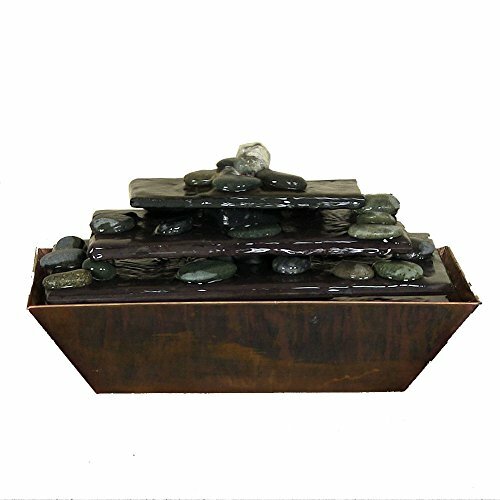 A Buddha tabletop fountain is a great way to add a calming accent to your decor. 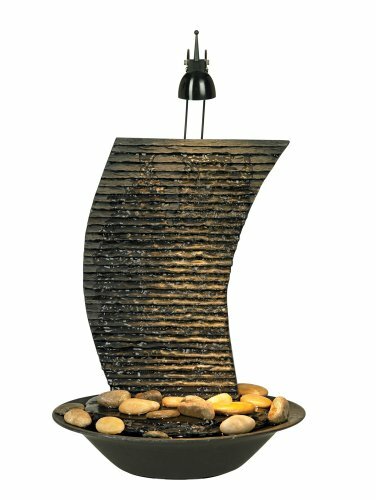 This indoor/outdoor design features a graceful seated Buddha deep in meditation, holding a warm LED accent light in his lap. 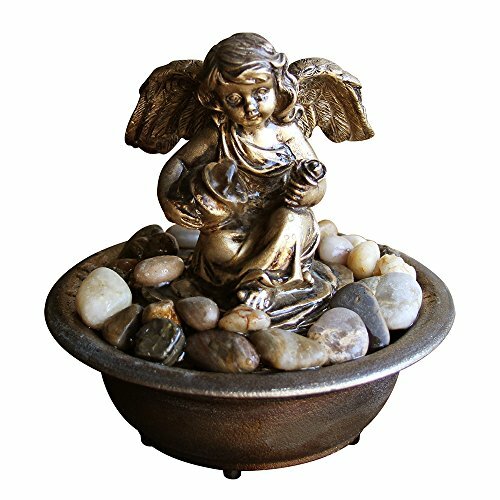 Polished bronze finish resin construction is lightweight and easy to place inside or out. 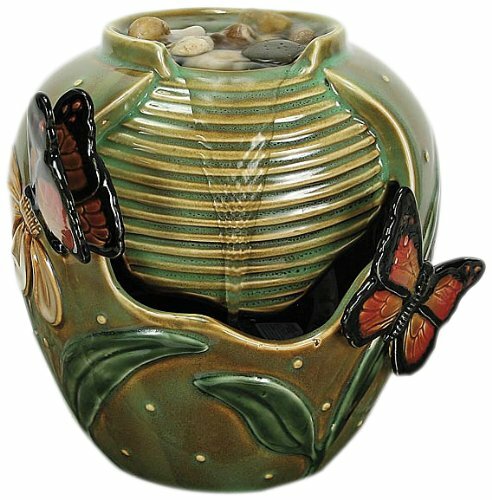 A convenient power cord is included; simply add water, plug in and enjoy!- 27 1/2" high x 20 1/4" wide x 20 1/4" deep. 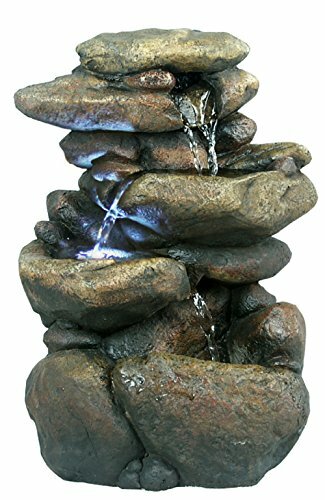 15-foot cord. 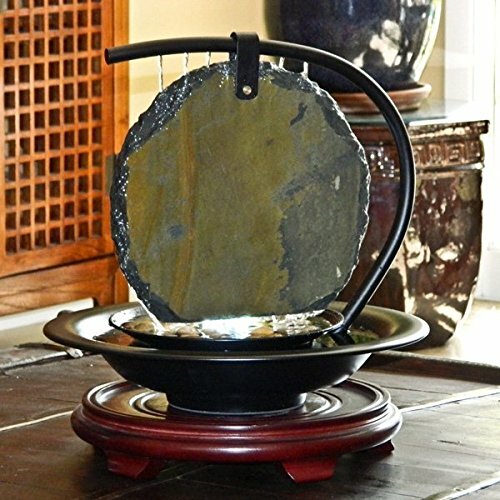 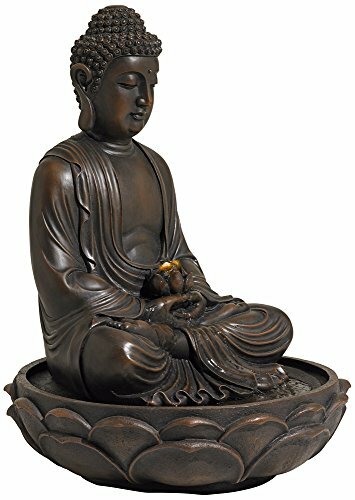 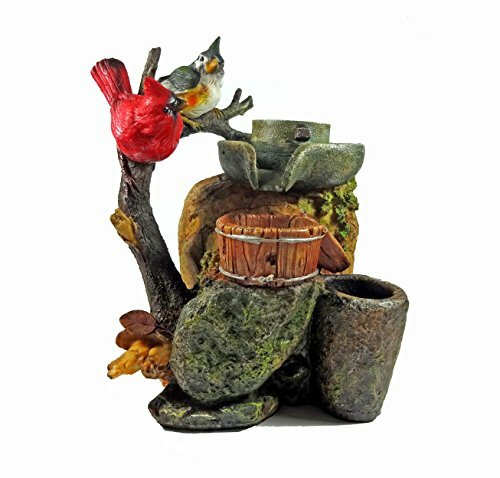 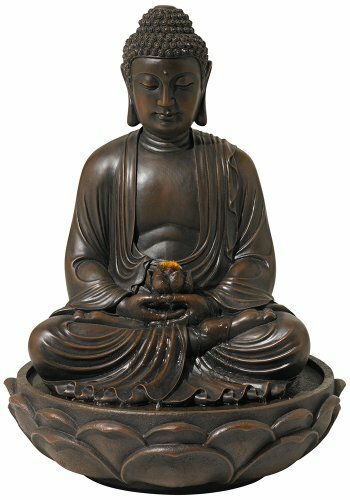 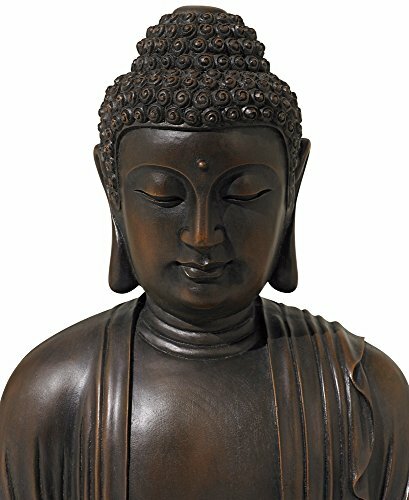 Weighs 25 lbs.- Polished bronze finish, lightweight resin construction.- Built-in LED accent light.- Buddha tabletop Zen fountain, perfect for adding calm and serenity to your home space.- Comes with water pump, easy to set up and use.